Here at HNH Rod Shop, we realize that the custom car you want, is the custom car you’ll get. We have the experience and automotive restoration industry knowledge to take your dream from conception to completion. 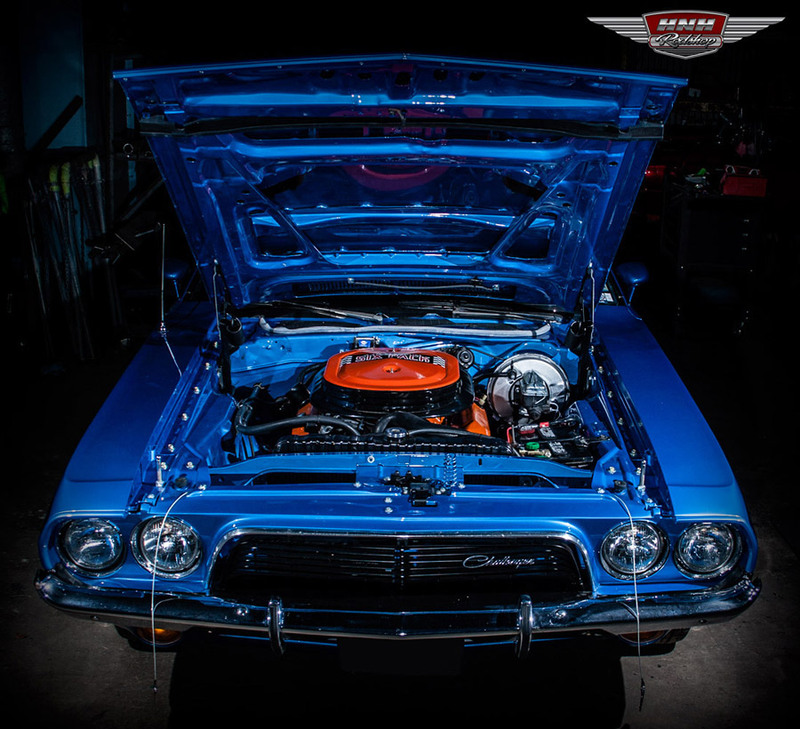 At HNH Rod Shop, we cover all aspects of your build, whether you are restoring a classic car back to its origins, or building a “Pro Touring” car with all the latest technologies available on the market today. We specialize in automotive conceptual designs, frame up builds, custom paint & body, metal fabrication, frame modifications, or literally anything you need to build your classic hot rod or muscle car to your unique specifications. Quality Work and Customer Satisfaction comes first at H&H. Our mission is to keep you informed and involved each step of your build. We pride ourselves in maintaining good communications with our customers, this way expectations are met every time. We recently moved from our previous location northwest of the Dallas-Fort Worth (DFW), Texas to Wisconsin, just in earshot of Milwaukee and Green Bay. Our new address is 7838 County Road D, Kaukauna, Wisconsin. The new location provides us with an opportunity to serve new customers in the Great Lakes Region, including Green Bay, Oshkosh, Milwaukee and Chicago. Although, our shop is conveniently located in the Fox Valley Area of Wisconsin, we continue to service customers from Texas and all over the United States who take pride in their custom hot rod, muscle car, and rare collectible car restoration projects. Give us a call at 817-798-8101 and lets talk about your project. Thanks for visiting and please take a few moments to have a look at some of the builds we are currently working on.